It located next to the Hiroshima station ( the bullet train= Shinkansen side.) There are many great restaurants and shops. 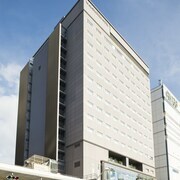 This hotel is pretty new, so it is very clean and room is updated style. There is nothing to complain. Five stars!! 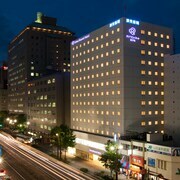 This hotel has an excellent location, especially if you are coming in on the Shinkanses. The staff are efficient, welcoming, and went out of their way to ensure our stay went well. History buffs will enjoy exploring Hiroshima, and visitors give high marks for the fascinating museums, important monuments, and sightseeing tours. This culturally-rich city also attracts tourists with its temples. Top sights in the city include Hiroshima Castle, Hiroshima Peace Memorial Park, and Hiroshima City Museum of Contemporary Art. 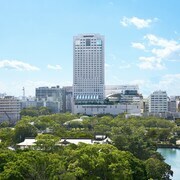 Well known for its museums, the city's cultural venues include Hiroshima City Museum of Contemporary Art, Hiroshima Museum of Art, and Hiroshima National Peace Memorial Hall for the Atomic Bomb Victims. Notable for its monuments, temples, and historic sites, the city's landmarks include Hiroshima Castle, Atomic Bomb Dome, and Bell of Peace. The city's natural beauty is on display at Hiroshima Peace Memorial Park, Shukkeien, and Miyajima. 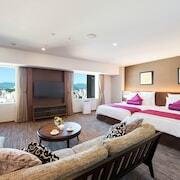 Miyajima Hostel Kaniwa - Amenities at this 1-star hostel include free WiFi and laundry facilities. 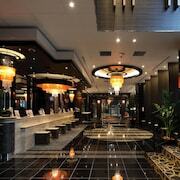 It's a favorite with Expedia travelers for its quiet location and helpful staff. Miyajima Guest House Mikuniya - Hostel - Our customers like the helpful staff and WiFi at this hostel. This 1-star hostel features free WiFi, a spa tub, and laundry facilities. 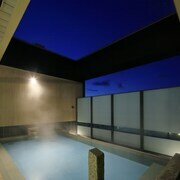 Kurayado Iroha - With a stay at this 4-star ryokan, guests can enjoy access to free breakfast and a restaurant, along with free Internet. Expedia customers like its breakfast and helpful staff. Other top sights in Hiroshima include Hiroshima Peace Memorial Museum. With so many transportation options, seeing Hiroshima is easy. 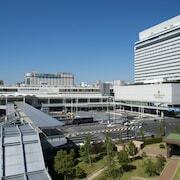 Walk to nearby metro stations like Danbara 1-chome Station, Matoba-cho Station, and Inari-machi Station. If you want to see more of the area, ride aboard a train from Hiroshima Station, Hiroshima Tenjin Gawa Station, or Hiroshima Yaga Station. 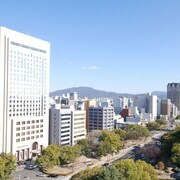 Explore Hiroshima with Expedia.com.tw’s Travel Guides to find the best flights, cars, vacation packages and more!